If you need to determine your eligibility to claim damages recovery after a Miami car crash, call us at the Wolfson Law Firm for free consultations at (305) 385-1115. We are here to answer your questions and help you. Our Miami car crash lawyers are available to you at any time you find convenient. Miami-Dade County has plenty of car accidents, and the city of Miami is not an exception. There are at least 50,000 car crashes annually with up to 20,000 injury-causing accidents. Many result in fatalities. While car accident occurs all around Miami, the most dangerous spots are located on I-95, as well as the Dolphin Expressway and the Palmetto Expressway. The most common reasons leading to car accidents in Miami include, but are not limited to drunk driving, texting while driving, talking on the phone while driving, driving under influence, tailgating, reckless driving, and others. The injuries they cause often times are serious. We have had clients with back injuries, spinal injuries, broken bones, head injuries, brain damages, neck injuries, broken limbs, and other serious injuries. Sometimes they are not as serious, but even if you end up only with bruises and scars, you may still be entitled to compensation. It is imperative that you get yourself checked out by a medical professional after a car crash. In many instances, there are more serious injuries that are not apparent at first. These can include partial tears of muscles, traumatic brain injuries and internal bleeding. Medical devices and medications costs: If you need crutches, a wheelchair, or any other medical device or medications for recovery, you'll get compensated for these expenses. Lost wages: Maybe you must stay at home while recovering. You'll get compensated for the lost wages that you would have earned if you were not injured. Loss of financial support: Florida law may allow for the financial support your dependents receive from you. You should know that the law entitles you to pursue compensation for pain and suffering, temporary disability, stress, or fear, due to the accident. Even though these are not economic damages, you have the right to get damages recovery for what you have been through. 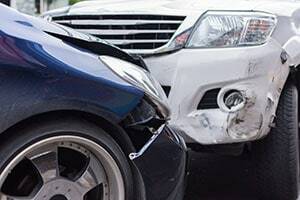 If you've were involved and injured in a car accident, you certainly need a car crash lawyer in Miami to advise you on your case. If you call us at the Wolfson Law Firm, our consultation is free. Our attorneys will let you know about your options for free of charge at (305) 285-1115 and won't ask for any fees before getting you compensated financially. We serve the city of Miami including its neighborhoods such as Brickell, Overtown, Miami Beach, Coral Way, Coconut Grove, Upper East Side, Allapattah, Edgewater, and others.